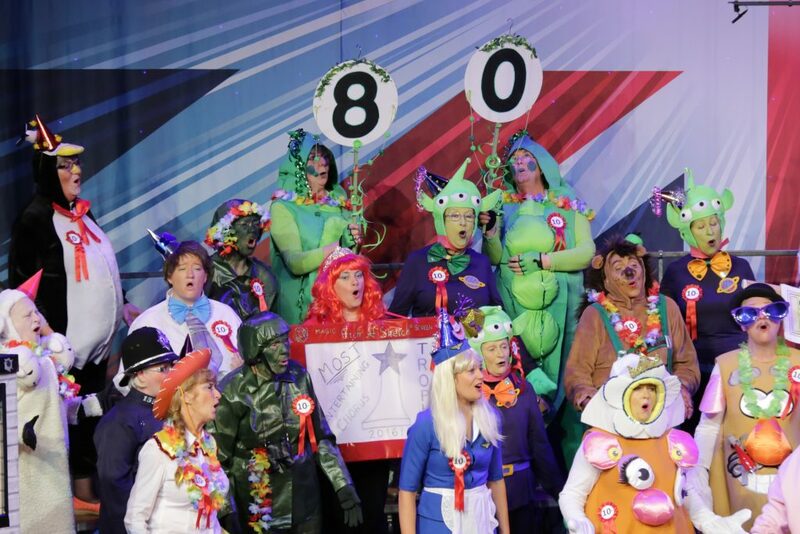 Founder member celebrates 80th birthday – on stage! All of us at Second City Sound are sending our congratulations and wishing many happy returns to our founder member, Olive Ryder. 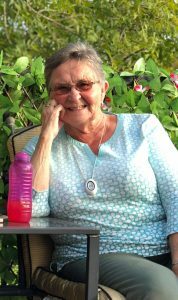 Ever the dedicated performer, Olive is celebrating her 80th birthday by joining us in competing at the IABS Convention, in Cork. We’re thrilled that she’s chosen to spend her special day with us. 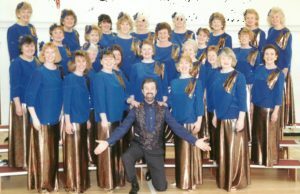 Our chorus started in 1990. Olive and her friend, the late Jean Ryder, discovered an interest in barbershop singing when their husbands were members of the Anvil Chorus. 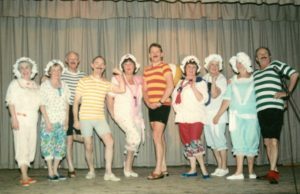 The two ladies and their husbands raised funds from car boot sales in order to pay for hall hire and to launch a ladies’ chorus. 13 women attended the first rehearsals and so Second City Sound was born. In the early days, the chorus lacked experience of singing in the barbershop style, and did not yet have a music director. Members of a chorus in Derby used to visit to provide coaching, until a member of the Anvil Chorus stepped in. Today, Rod Butcher is our director — although, with a mere 21 years in post, he’s still a newcomer! 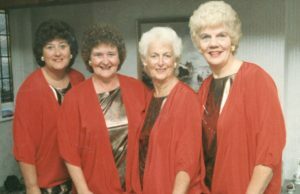 Members of the chorus have sent a few photos of those early days.